Woah! Where do I start? 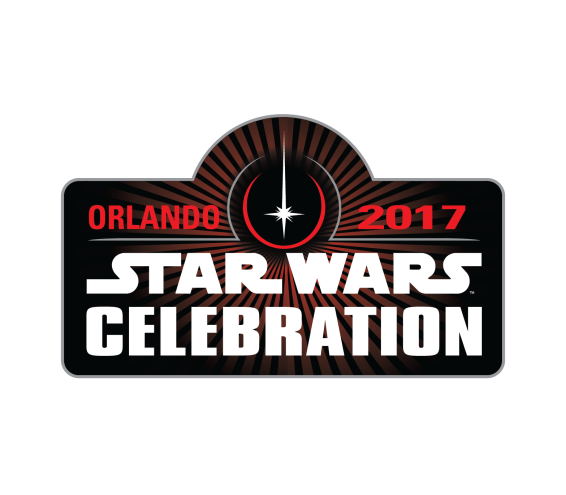 Star Wars Celebration Orlando 2017 was intense! For my first celebration, it was tons of fun—I made some new friends, definitely emotional, a little overwhelming at first, exhausting of course. It’s something I’ll never ever forget. The best way for me to sum everything up without forgetting anything is to do a day-by-day recap. Day 1 of SWCO: Let me just say the waiting in line was SO worth it. The 40th Anniversary panel was the greatest part of the entire weekend in my opinion. 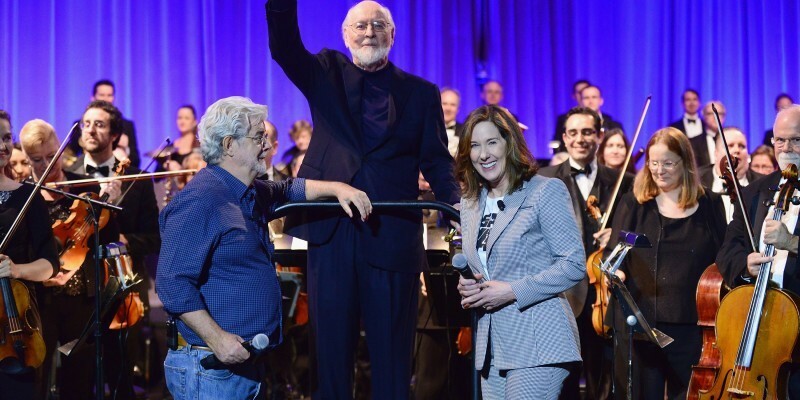 When Lucasfilm president Kathleen Kennedy introduced George Lucas, a gasp engulfed the crowd before his name was even uttered. An all-star lineup was introduced on stage to pay tribute to George; Dave Filoni, who George referred to as his son that had to be purged of bad ideas. Dave intimately told a story of how George taught him not to be afraid to try new things that may seem impossible. “We’ll figure it out” George would tell him, and they always did. The one line that stuck with me is when Dave said he has learned “never to make any decision out of fear”. After Dave left the stage, Hayden Christensen and Ian McDiarmid joined George on stage. The ovation for Hayden was fantastic. As a first generation Star Wars fan, I was ecstatic to see a prequel actor receive some much deserved love from the fans—and I think he enjoyed himself too. Next was the trio of Anthony Daniels, Billy Dee Williams, and Peter Mayhew. It’s so great to them together again for the first time since the end of Return of the Jedi if I’m not mistaken. They all shared some wonderful stories about George and working on Star Wars. I had a laugh when host, Warwick Davis commented that they were arguably George’s best four character creations on stage, and why not make it five only to introduce Mark Hamill. Just for the record I’d love to see a panel with just Warwick and Mark. Mark is a natural on stage and could have easily taken over the panel if not for the next guest—Harrison Ford. The crowd equally erupted for Harrison, maybe more so for him than even George. Two friends pointed out to me after the fact that at that point, without Carrie, there were no female guests on stage for that segment. Food for thought. After everyone left the stage George and Kathleen remained to pay tribute to Carrie, in which Kathleen introduced Carrie’s daughter Billie Lourd, on stage. Billie gave a stirring tribute to her mother which included the entire “help me Obi-Wan Kenobi you’re my only hope bit of dialogue. By this time there was not a dry eye in the house. 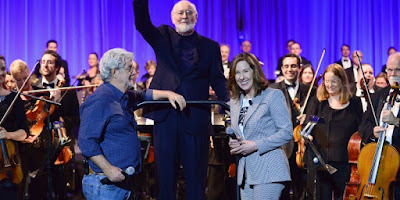 After the crowd couldn’t handle anymore, there was a moment when the stage went dark then to the left the curtain rose and there is none of than the “greatest composer in the universe” John Williams, who like a Jedi Master, quieted the crowd with a single hand gesture. With the first note of Princess Leia’s theme, a woman two seats to my left was sobbing with emotion. After Leia’s theme they quickly moved into the Main Theme, then with a brief bit of praise from George and Kathleen finished the event off with The Imperial March. After the 40th Anniversary wrapped up, our group split, and I got into line for the Dave Filoni: Animated Origins and Unexpected Fates with Pablo Hidalgo. This was a really cool panel in which some members of the 501st came out and presented Dave and Pablo with a gift. The crowd was showed unfinished Clone Wars footage of a scene between Cad Bane and Boba Fett featuring his well-known armor. This scene revealed how Boba received the dent on his helmet. Dave also pointed out how George specifically wanted smoke coming off Boba’s helmet where the dent is. For visual reference, this scene was obviously highly inspired by the shootout scene in The Good, The Bad and The Ugly, up to the close up camera angles. Later on that day I saw two panels in the Star Wars University; Chuck Wendig: A Small Group of Characters Can Change a Whole Galaxy, and the LGBTQ panel. After that I quickly made my way down to the podcast stage to catch Tarkins Top Shelf/Idiot’s Array podcast. At that point it was almost 8:30pm and I was done. I had bought tickets for Drowning in Moonlight but I decided for my own good not to go. Day 2 of SWCO: The Last Jedi panel was the big event for the day on Friday. I found this panel to be a little on the short side. Other than the sweet poster we saw and the teaser trailer, this panel left me with wanting more. What the 40th anniversary gave me in abundance, The Last Jedi panel pulled back. Oscar Isaac could not make it, no mention of Laura Dern or Benicio del Toro or their respective characters, we did get to meet Kelly Marie Tran and her character Rose who is a Resistance maintenance technician. I attended a couple live podcasts events later in the afternoon (Full of Sith and Fangirls Going Rogue). I called it a day after that. 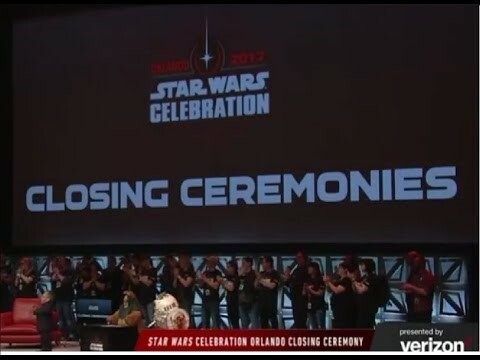 Day 3 of SWCO: It was stated at the beginning of the Rebels panel that this event was not being livestreamed. This was another emotional panel as Dave announced that season 4 of Rebels will be the last season. Shortly after he announced that he introduced a family who has been cosplaying as the Ghost crew even before Rebels was even on. Dave let the fans know how much he appreciated their support and it was pretty obvious that this decision was not an easy one to make. Tiya Sicar (Sabine Wren) wiped tears from her eyes as Dave spoke. Interesting to note, that no announcement was made of a new televised series. If I’m wrong let me know, but I didn’t officially hear anything. The Rebels Press conference was a fantastic opportunity to drill the cast with more questions. Sarah Woloski from Skywalking Through Neverland and Fangirls Going Rogue asked Dave how the Force will be explored in season 4. Dave gave a mesmerizing answer about how the Force is the center of Star Wars and the relationship between parents and their child and the battle between, and how when the child matures they will hopefully cast away the dark influences and love their parents. This answer hit me hard, and deservedly received an ovation from the media. As a student of writing I had to catch as many writing panels in Star Wars University. I caught the second half of Christie Golden’s and I also attended the panel on writing blogs hosted by Bryan Young, Tyler Westhause, James Floyd, Dan Zehr, and Linda Hansen-Raj. Saturday night I attended the Skywalking Through Neverland live podcast, which was a great entertaining show. 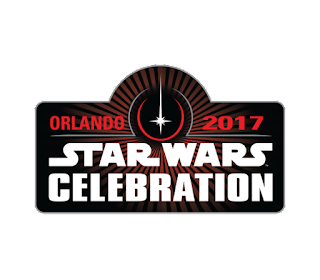 Day 4 of SWCO: A more laid back day, many people decided to leave early because of the Easter holiday, understandably so. I attended the Rebels Reunion panel which was kept really vague and unconvincing, gave the impression that it would be Rebels-based—well it was…sort of. 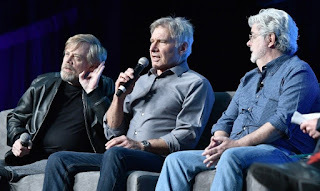 The panel included some of the background rebels in the films, Denis Lawson (Wedge), Garrick Hagon (Biggs), Tim Rose (Admiral Ackbar), Mike Quinn (Nien Numb), Angus MacInnes (Gold Leader). I have to admit, this panel was a surprisingly entertaining one. It’s fun to hear tales from the some of the secondary characters. I attended a fascinating Woman in a galaxy far, far way panel, but had to bail a little early to attend the Closing Ceremonies in hopes to hear where the next Celebration will be in 2019. Seeing all the flashbacks covering the last four days always stirs up emotions. Unfortunately nothing was revealed other than Warwick Davis saying “we’ll see you next time…wherever that may be” to which the crowd groaned. To wrap up this really long post, I’ll just say that one of my favorite experiences of the entire weekend was my fellow fans. Despite the long lines, everyone was so incredibly pleasant, I couldn’t be more proud to be a fan. Not one misbehaving child or rude fan that I heard anyway. 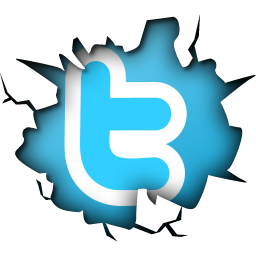 I was really blown away by that. I had a great time. Now that I know what to expect I can prepare better. I know that I should not revolve my eating/resting around the panels. Pick out a couple that you want to see most each day, eat and sleep to maintain your endurance, and then see what other panels you’d like to attend. Buying snacks the day before was a good decision too. Keeping a reusable water bottle is a must. I didn’t get to meet as many people as I originally planned, but I was fortunate enough to meet Becca Benjamin, Joe Tavano, Bryan Young, Richard and Sarah Woloski, Drew Kaplan, and Swara Salih, Matt Clifton, and Ryan Stamphli. It’s possible next time I’ll make more of an effort to reach out to more people. Because this on was my first I really wanted to attend more panels. Anyway, that’s it. It’s all becoming a blur it happened to fast. I have plenty of memories and pictures to look back on my first Celebration. Star Wars is all about family and friends, and I’ve made so many new ones. I feel real fortunate for that. Just by doing that I’m contributing to the theme of Star Wars. And you are too.